Friday, 9 March 2018– Here we go! Another spring filled with thrilling and highly competitive college team racing. Please support our sponsors who bring these rankings to you: Dynamic Dollies & Reliable Racing. My sailing team uses Dynamic dollies, as many do, and as good as their product is, I can say that their service, support, and professionalism are all even better. As for Reliable Racing, more and more we see competitive sailing improving and upgrading both the look and feel of the sport. Reliable Racing is ready to help your team do just that, with pinnies, sailing-specific helmets, and more. The season is already underway, with results to give our coaches some data, including the Sharpe Trophy at Brown & the Bob Bavier at Charleston. To see the FULL rankings and all the analysis, CLICK HERE! Rankings are an average of our five panel team, Dillon Paiva (Navy), Johnny Norfleet (fordham), Bill Healy (Yale), Clinton Hayes (Stanford), and Ken Legler (Tufts). Complete with comments, these rankings help provide our fans and players alike not only with thoughts on who’s who, but also they offer quick analysis and glimpses into the teams themselves in the coaches comments. Enjoy! We offer sailing’s #1 Career Center and Job Board, always chock full of incredible sailing job opportunities. Our comprehensive career center also offers job seekers the ability to create their own web page, highlighting their experience and posting their resume. Likewise, employers can search our resume database to find the right match for that open position. 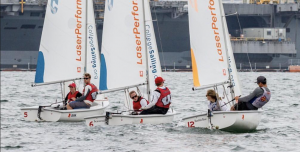 Sail1Design is proud also to be the official job board of the Intercollegiate Sailing Association (ICSA), the US High School Sailing Association (ISSA), and US Sailing. S1D also hosts Airwaves, an interactive, user fed Sailing Calendar and informative Sailing News, Articles, tips, & more. Airwaves has developed a great niche in the sailing publication world, and now boasts a seven-member staff of dedicated sailors, all contributing to our varied content.